Running programs/applications as a different user in your computer is very common if you manage a network. In fact, after installing Windows 10 on my work computer it was one of the first things I tried. 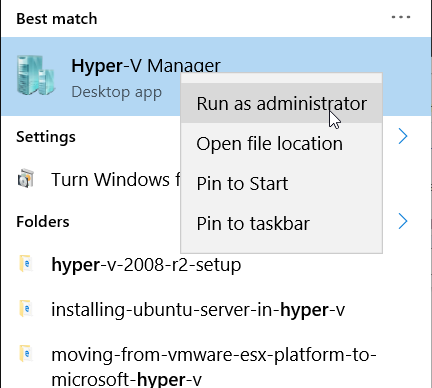 I have a bunch of management tools that I use to manage our servers from my computer, Hyper-V, Exchange, DNS, etc.but to connect to those servers I need to connect as an admin user. 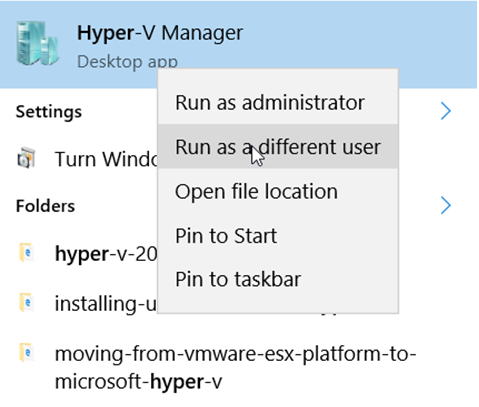 In previous Windows releases pressing the SHIFT key and right-clicking on the program would give you the option to run as a different user, but in Windows 10, it does not work. 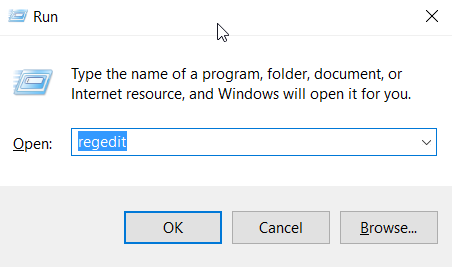 After hitting the Internet to find out why the option to connect as a different user wasn’t showing up for me, I learned that the feature was actually removed from Windows 10, and you need a registry hack to bring it back.